Grandmaster Anthony Muhammad was born July 26, 1958 in Mobile, Alabama. When he was six years old, his family moved to Queens, New York, and later to Brooklyn, where his family joined the Nation of Islam. At eight years old, Grandmaster Anthony started boxing under the instruction of his older brother, Ronald (Dees) Muhammad. His first formal martial arts instruction was in the art of Shorin Ryu Karate, taught by Brother Vann who was a student of Sensei Thomas. Grandmaster Anthony received his yellow belt in Shorin Ryu, yet shortly thereafter began training under the late Dr. Moses Powell. It was in the Jr. Fruit of Islam (F.O.I.) class that he began his instruction in the art of Jiu Jitsu. As a young student of The Doctor, Grandmaster Anthony's passion for training was demonstrated by training two to three times a day. He spent so much time at the Dojo that The Doctor gave him his own key. It was around this time that Grandmaster Anthony became acquainted with Dr. Powell's teacher, the late Grand Professor Vee. Grand Professor Vee used to come to the Dojo to teach private classes to Dr. Powell. No one else would be in the school at the time, but Grandmaster Anthony would stay close to the door and try to see what the Grand Professor was teaching. Yet, he could only view part of the mat. When Grandmaster Anthony became a brown belt, he was allowed to join the Black Belt Class that was taught by Grand Professor Vee in the early 1970s. This is when Grandmaster Anthony began to establish his own relationship with Grand Professor Vee. Grandmaster Anthony received his black belt in 1975, thus making him The Doctor's youngest black belt. While studying under Dr. Powell, a young Sensei Anthony also met Soke Li'l John Davis, a senior master under Dr. Moses Powell. Sensei Anthony admired Soke, who became one of Sensei Anthony's mentors in kickboxing. It was in a sparring match at the Atlantic Avenue Dojo in New York, where Sensei Anthony fought against another black belt, that Soke took notice and a teacher/student relationship began. Since that time, Grandmaster Anthony has continued to train, never taking a sabbatical, and now has over forty years of experience within the martial arts. Currently, Grandmaster Anthony Muhammad holds a 10th degree in Sanuces Ryu Jiujitsu, under the late Dr. Moses Powell; a 10th degree in Kumite Ryu Jiujitsu, under Soke Li'l John Davis; and a 6th degree in Vee Jitsu-Te under the late Grand Professor Florendo Visitacion. 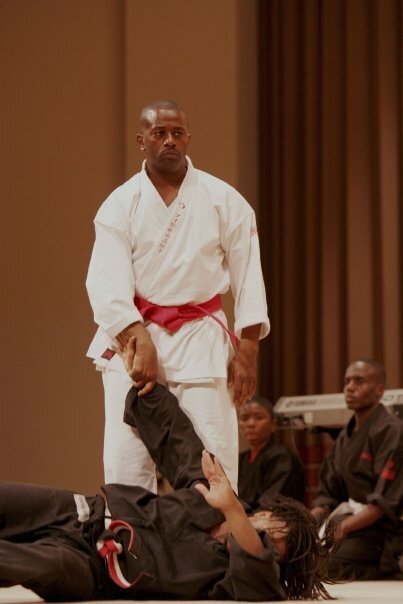 Grandmaster Anthony Muhammad has a long history of competitive victories in martial arts circles and has been inducted into multiple Martial Arts Halls of Fame. He is responsible for the creation and implementation of two successful Martial Arts academies: When Worlds Collide Center of the Arts in Brooklyn, New York and United Schools of Survival in Chicago, Illinois. In New York, he founded the Young Kings and Queens Military Academy in which martial arts, military drill, math, reading and dance were part of the curriculum. During his time in New York, Grandmaster Anthony also owned and operated a successful security company that provided security for many of the movie director Spike Lee's projects, New Line Cinema, Universal Studios, Paramount Pictures and the Hudlin Brothers film projects. He has provided security on movie sets such as Malcolm X, Boyz In the Hood, Boomerang and House Party, to name a few. He also appeared in the movie Teenage Mutant Ninja Turtles. In addition, he has provided personal security for the late former President of South Africa, Nelson Mandela, the late former mayor of Chicago, Harold Washington, actor/director Denzel Washington, musician Stevie Wonder, R&B group SWV and the Honorable Minister Louis Farrakhan. His security work in the projects of New York gained him national notoriety. He has also worked in the New York Department of Corrections where one of his responsibilities was the training of corrections officers in its training academy. In 1995, Grandmaster Anthony moved with his family to Chicago, Ilinois in order to serve as the National Trainer for the Nation of Islam under the leadership of the Honorable Minister Louis Farrakhan. He has since served in positions of First Officer, local Captain, Student Central Regional Captain of the Fruit of Islam (F.O.I.) and now the Assistant Supreme Captain of the Nation of Islam. He also serves as the CEO and president of the United Schools of Survival Martial Arts Federation (U.S.O.S.M.A.F.) 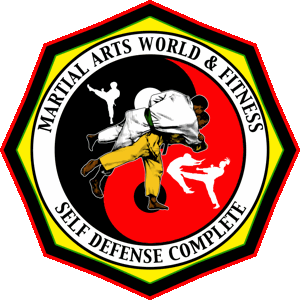 Grandmaster Anthony has traveled to Korea, the Caribbean Islands (Trinidad, Barbados, Bermuda and Puerto Rico), Libya and other African countries, Turkey and all over the United States providing security, teaching and demonstrating, and even has students as far away as Italy. Besides that, Grandmaster Anthony is a loving and devoted husband, father, grandfather, brother, uncle, cousin, teacher, friend and mentor to many.